JERUSALEM – Insisting “peace is possible,” President Obama on Thursday prodded both Israelis and Palestinians to return to long-stalled negotiations. 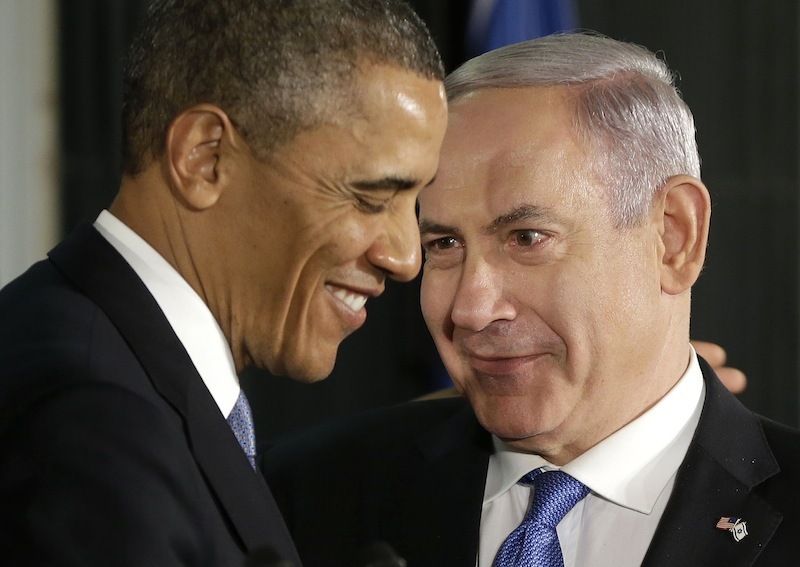 Obama set few, if any, pre-conditions, softening his earlier demands that Israel stop building settlements in disputed territory. The president made his appeal just hours after rockets fired from Hamas-controlled Gaza landed in a southern Israeli border town, a fresh reminder of the severe security risks and tensions that have stymied peace efforts for decades. 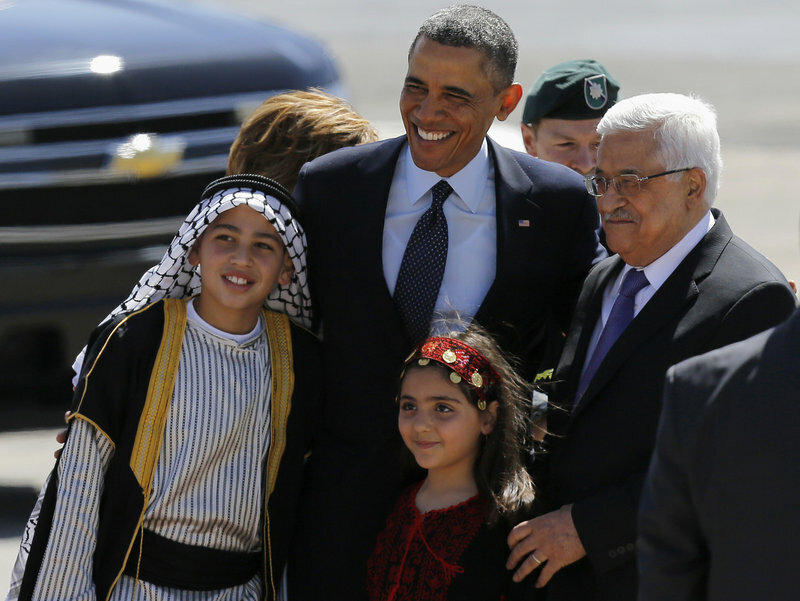 Obama, on his second day in the Middle East, shuttled between Jerusalem and Ramallah, reaching out to the public as well as political leaders. The deep disputes dividing the Israelis and Palestinians have remained much the same over the years, and include deciding the status of Jerusalem, defining borders and resolving refugee issues. Palestinians have been particularly incensed over Israeli settlements in disputed territories, and the Israelis’ continued construction has also drawn the condemnation of the United States and other nations. 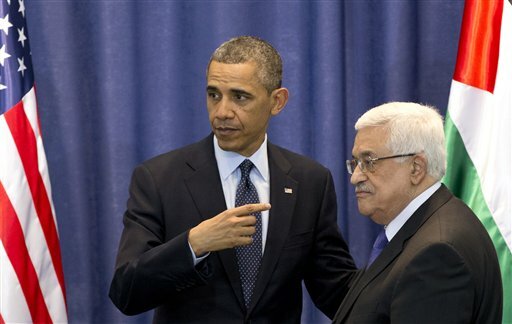 Further settlement activity is “counterproductive to the cause of peace,” Obama said. But in a notable shift, he did not repeat his administration’s previous demands that Israel halt construction. Instead he urged the Palestinians to stop using the disagreement as an “excuse” to avoid talks. Abbas said Palestinians remain committed to seeking peace with Israelis, but he made clear that settlement construction had made his people distrustful of Israel’s intentions. “This is very dangerous that people and the new generation reaches the conviction that it’s no more possible to believe in the two-state solution,” he said. 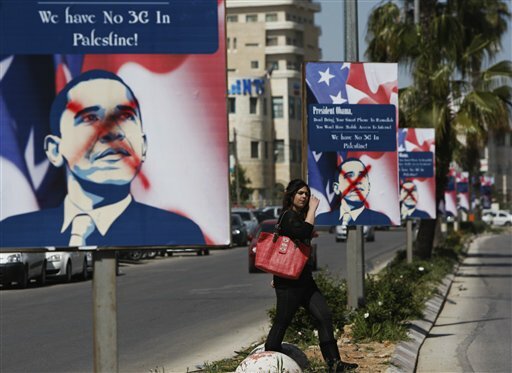 Obama has sided with the Palestinians on the settlement issue during his first four years in office. However, when Israel reluctantly declared a 10-month moratorium on construction, the Palestinians balked at returning to negotiations until shortly before the suspension expired and talks foundered shortly thereafter. The Palestinians want a state in the West Bank, Gaza and East Jerusalem — territories Israel captured in the 1967 war — but indicate they are ready for minor adjustments to accommodate some settlements closest to Israel. Since 1967, Israel has built dozens of settlements in the West Bank and East Jerusalem that are now home to 560,000 Israelis – an increase of 60,000 since Obama became president four years ago. Upon his return to Israel, the president told Israelis that in the search for peace they have “true partners” in Abbas and Salam Fayyad, the Palestinian prime minister. Obama is spending most of his four-day Mideast trip in Israel, where the politicians and public have been skeptical of his commitment to their security. 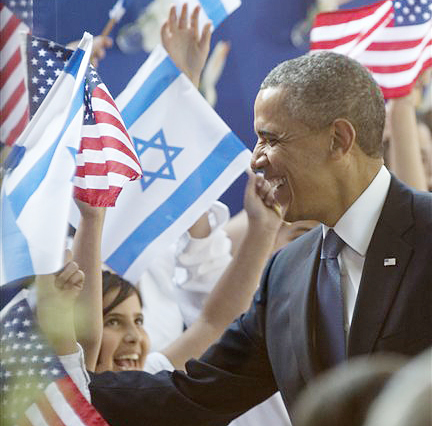 He remindied an audience of Israeli university students Thursday that the U.S. is their country’s most important ally.